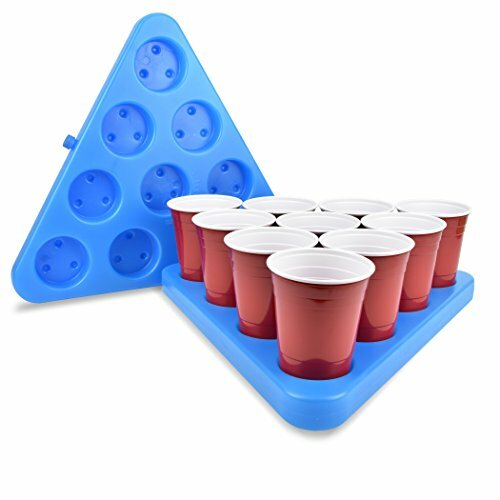 The n-ice rack freezable beer pong racks are a must have beer pong accessory. Simply fill up each rack with water and freeze to keep your drinks cold for hours. Rack system also keep cups from sliding or spilling. The days of tossing warm beer at the end of games are over. ICE COLD: Keeps your beer cold for hours - the battle against warm drinks is over!